The video of the 2019 Annual Gathering and AGM held in the Grampians in Victoria can now be viewed on the Home Page. See the KKOG Gatherings Panel on the Home Page for details of the 2020 Annual Gathering and AGM. This Forum is the gateway to information about who we are and what we do. We seek to promote the lifestyle that ownership of a Kimberley Karavan or a Kimberley Kruiser can bring. 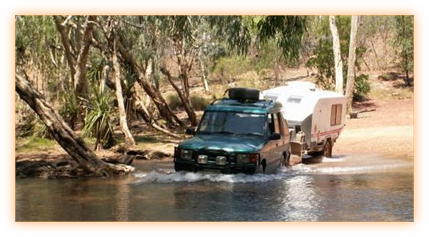 Ownership of a Karavan or a Kruiser brings with it ability to travel to remote places in comfort. The destination chosen is not limited by the abilities of the Karavan or the Kruiser but by the tow vehicle and the skill of the driver. Members of the KKOG help EACH other to enjoy their investment through contact with other owners, with tips on travel, maintenance and modification, and by organising National, State and Local "Get Togethers". They pass on ideas freely and keep an even head, not taking to heart comments made in jest. This forum is the main place where communication between KKOG members happens (except for the occasional email and at Gatherings held at locations across the country). The main part of the forum is only open to members of KKOG, however guests can post questions about our lifestyle. If you are interested in joining us, please see the "Information for Prospective Members" box further down the page. This is an active forum. It contains 27 different discussion boards on topics ranging from Karavan or Kruiser Electrics - what goes wrong and how to fix it, to our KKooks KKorner (you get a lot of "K's" around here) and boards to organise rallies and road trips. As well as the forum we have a download section containing a wealth of files on all aspects of the equipment installed in the various Karavan and Kruiser models. These include files on subjects as diverse as how to disassemble and repair your diesel cooker or how to properly look after your batteries. Or install lithium iron phosphate replacements. We also have a Gallery. Each member can have multiple albums, where they can post photos of their Karavan or Kruiser, their modifications to it, their trips or any topic they like. The photos are viewable by all members. A sample of thumbnails chosen a random from the gallery can be seen below. To see more of these, just refresh the page (F5 key). I hope you enjoy your visit and if you are a Karavan or Kruiser owner or intend to buy one, we would welcome you as a member. 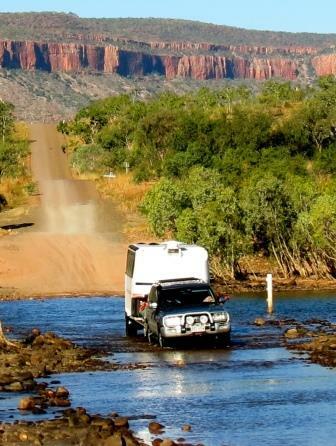 Kimberley Karavan Owners Group (KKOG) is an Incorporated association registered in NSW for owners of Kimberley Karavans and Kimberley Kruisers, wherever they might live. The Forum is our main communication channel. You cannot use all the features of the forum unless you are a member of Kimberley Karavan Owners Group Inc, and to be a member you MUST own a Kimberley Karavan or a Kimberley Kruiser or be able to show that you have paid a deposit on a used one. If you have any questions please contact us or call Greg on 0407 974 964, Keith on 0407 610 567 or Bruce on 0413 116 647. Please be aware that our interest is in travelling to remote places. Though one of us is usually contactable it is not always so, especially if there is a "club rally" in progress. Please be patient. We will respond to the question you have posted or return your call or reply to your email as soon as we get back into phone or internet coverage. If you're happy with all of that, then this Join Now link will take you to the Membership Application form and filling this out and submitting it will seal the deal (provided you qualify ). To answer another question, KKOG has an annual membership fee of $25 per year and when joining there is a $25 joining fee. A small note for those who are joining KKOG, processing membership applications and gaining access to the KKOG Forum is not an automated process. Once you have purchased your KKOG membership, the next step is for our Sec/Treasurer to provide a temporary password and some information about using the forum. Once the Sec/Treasurer has done this, the Forum Admin Team will be able to activate your forum access. This process has been instigated to ensure the integrity of the forum. Please be aware that during the winter months, i.e. June, July and August, most members of KKOG are travelling, including our Sec/Treasurer and members of the Forum Admin Team and we do not always have internet coverage, so it may take a few days before you receive a response to your application. We thank you for your patience and we will process your application at the earliest opportunity.